We have a special ring tone. Hey you want a special ring tone? 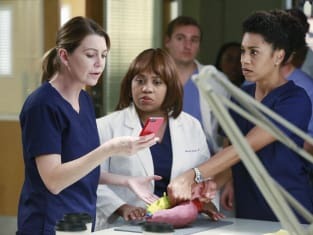 Grey's Anatomy Review: The End of Happiness?